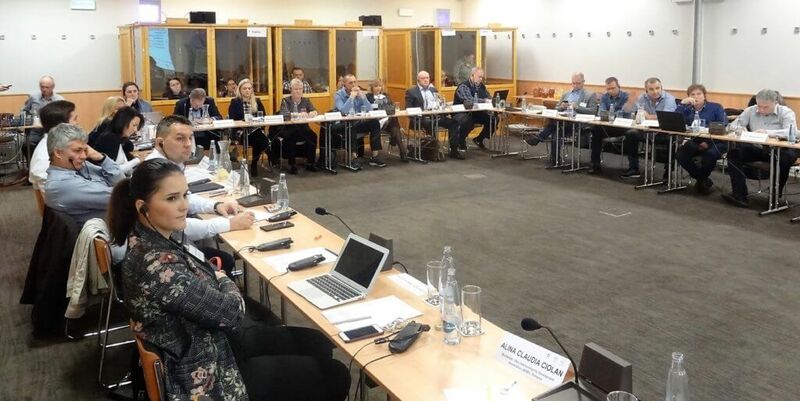 Prague – The social partners in urban public transport, ETF and UITP, the International Association of Public Transport, hold a workshop on 6 and 7 November 2018 in Prague “Dialogue can shape the future of urban public transport” for Czech, Hungarian, Romanian and Slovak participants. Trade union representatives, urban public transport companies as employers and municipality representatives spent two days discussing burning issues within the sector. The agenda was packed with presentations reporting on latest developments from social dialogue negotiations, both on the EU and national level. Attendees compared the state of play within their countries as well as progress in negotiations. Main issues raised by participants from multiple countries included recruitment and retention of new transport workers, education and training for new recruits following recent technical developments and the likes. One of the issues participants identified as common for all countries was hiring new bus drivers. According to the updates provided, it is not only difficult to hire new staff, but after a short period of time drivers tend to leave the company either for similar work abroad or they change the field completely. This result is shortage of drivers across the region. Previously in 2018, a similar workshop was held in Sofia, Bulgaria on 2-3 October with participants from Bulgaria, Croatia, Serbia and Slovenia. Both events were organised within the framework of the project “Social Dialogue in the Urban Public Transport Sector in Central and Eastern European Countries” and gathered around 40 representatives. The aim of the project was to facilitate exchange of views between key actors in the urban public transport and to discuss possible strategies to address challenges in the sector. The participants appreciated the good discussions between employees and employers as well as the international dimension of the workshops. Trade union delegation in Bulgaria supports the ETF Fair Transport Campaign.